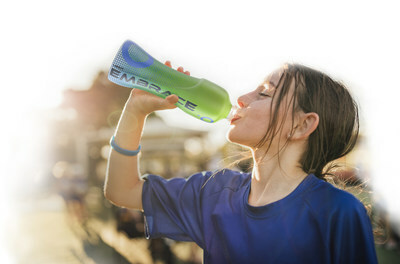 KINGSPORT, Tenn., March 26, 2019 /PRNewswire/ -- Eastman will be launching its latest portfolio featuring the newest members of the Eastman Embrace™ family of resins for shrink film at the SPC Impact Conference, April 1-4 at the Westin Seattle in Seattle, Washington. The Eastman Smart Recycle Portfolio offers three solutions, including two new resins that increase the recyclability of shrink-labeled PET packaging. Eastman Embrace Encore™ copolyester forms a versatile, clear shrink label that can be recycled with PET. Eastman Embrace Float™ copolyester forms an opaque, low-density shrink label that floats in water and can be separated from PET in the recycling process. "We're excited to debut this innovative new portfolio at SPC Impact," said Kendra Harrold, marketing director, Specialty Plastics – Packaging, Eastman. "With more recyclable options, brands can feel confident in their ability to create engaging, attractive and sustainable packaging that meets the needs of any project." All three solutions within the Eastman Smart Recycle Portfolio are recognized by the Association of Plastic Recyclers (APR). Both Embrace Encore and Embrace Float have received APR's Critical Guidance recognition. Sun Chemical's SunLam™ De-seaming Adhesive carries APR's Responsible Innovation Acknowledgment. Eastman will be exhibiting adjacent to event registration at the conference. Register to join. Eastman is a global specialty materials company that produces a broad range of products found in items people use every day. With the purpose of enhancing the quality of life in a material way, Eastman works with customers to deliver innovative products and solutions while maintaining a commitment to safety and sustainability. The company's innovation-driven growth model takes advantage of world-class technology platforms, deep customer engagement, and differentiated application development to grow its leading positions in attractive end markets such as transportation, building and construction, and consumables. As a globally inclusive and diverse company, Eastman employs approximately 14,500 people around the world and serves customers in more than 100 countries. The company had 2018 revenues of approximately $10 billion and is headquartered in Kingsport, Tennessee, USA. For more information, visit eastman.com.